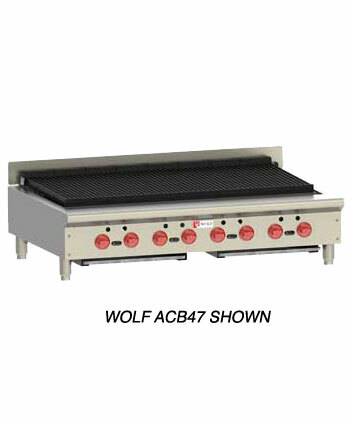 The Achiever broiler line is designed to match-up to the Achiever hot-plate and Achiever griddles to fit nicely on the Achiever refrigerated bases or as a counter top application. The depth dimensions are greater on the Achievers than the SCB's. The Achievers also have a slightly greater BTU rating to compensate for the larger cooking surface. The Achiever also has a higher profile. Free Shipping to Commercial Destinations with loading dock or fork-lift. Add lift-gate truck service if needed.